Are Recurring Payments PCI Compliant, and how does Magento handle this issue? Are Recurring Payments PCI Compliant? For many customers and / or online store owners this is a great question. Main concern for customers is if they subscribe to something, that means that someone holds their credit card information (potential risk), and this is important question for store owners as well since they can be fined if they’re not compliant. This article is intended for store customers, store owners and mainly for store developers, as if they know that, others can be informed. Read on! 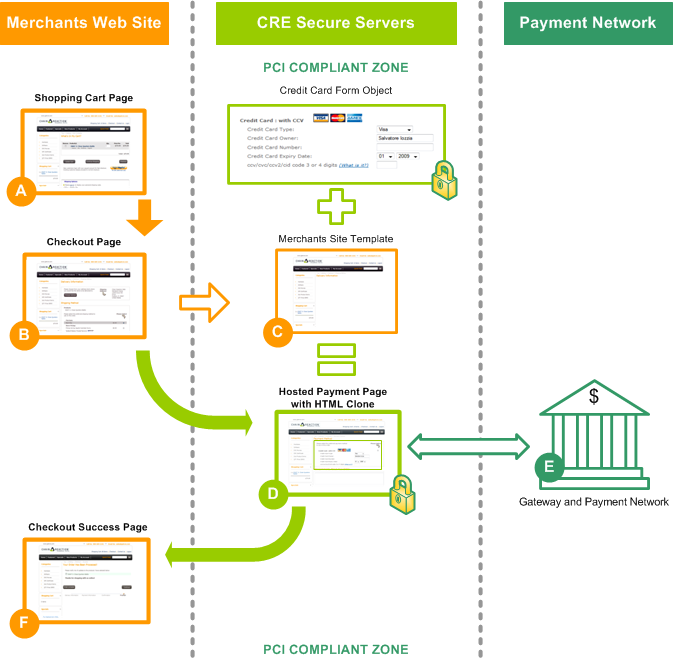 What is PCI compliant store? First of all, major question is what is PCI compliant store? In short – its a standard, but to clarify a bit more – Wikipedia states “The standard was created to help payment card industry organizations that process card payments prevent credit card fraud through increased controls around data and its exposure to compromise”. It can be read like this “Standard that helps with keeping both customers and service providers safe from fraud”. So, to conclude this introduction in one sentence – it is a part of the most important part of any online store, the checkout. Second question and the main topic of this article – Recurring Payments. Again, in short recurring payments are “fancy expression” for payed subscription. And as any subscription – it happens periodically. But if we wish to make payments periodically without customer’s interaction, someone has to hold credit card number and card security code (latter comes at variety of names). And the main problem – Are Recurring Payments PCI Compliant? As you can see, payment itself together with credit card information MUST NOT happen on merchant’s online store – it IS NOT PCI Compliant. In real world credit card data flows as follows: Customer input -> Data is sent to Gateway for authorization -> Gateway sends it to the credit card issuer for authorization -> Gateway gets response form issuer -> Online store gets response from the gateway -> Online store informs customer with the result. But if you wish Recurring Payment System on your online store, only one that can keep authorization for further automatic payments is the payment gateway. Since each gateway is under constant supervision by card issuer (different set of rules apply for gateway and online store). Above, under the image, inside my comment I wrote one of implementations. Magento works all that communication with gateways over the API, so you physically stay on store, but your data doesn’t – never. So, default Magento IS PCI Compilant. To conclude, as long as online store DOES NOT store any credit card information on its servers, its all good and PCI compliant. I hope this wasn’t too boring for anyone since perhaps it is the most important thing regarding online store! I’m using some subscription module and Paypal Recursive Payment gateway. I’m almost done with this implementation and testing on sanbox-ipn. Now , I need to integrade Creditcard (saved cc) method for customers(without paypal id/experience) to be able to buy services and renew them automatically every month just like a recursive payment. Fida: Please check if your store pages (where you accept customer order and customer card information) are secured with SSL as in with https:// and that you are serving a valid SSL certificate signed for your domain. Can anybody help to keep me out of this issue ? Looking forward for your help ! WMD is perfectly correct. So too is Piotr. If you host the form that collects the card details then you need to pass a PCI scan. At the end if the day it does not matter what technical arguments you may have regarding the storing or transmission of the card data, the QA assessor or company that you choose to confirm that you are compliant will decide whether your server and cart is in scope or not. To date I have not heard of any that agrees to take your server and cart out of scope if your server hosts the form. It is the merchant who takes cards as payment that must prove PCi compliance in their processes. Their appears to be a belief that tools such as what are being discussed here make you compliant. Whilst they make compliance easier, they are nothing more than an aid to proving compliance. Magento CE not being PCI compliant is not only the matter of what’s being stored or transmitted. As I said already, case where you are serving empty form with action set to external service DOESN’T involve any data even TRANSMITTED through the site. And once again, PCI compliance is NOT ONLY matter of what you store or what you transmit. @Piotr in case you serve form from your server and that form has action url set to payment gateway, you are not actually even capturing data (not storing) since anything you enter in that form is thing between gateway and you. There is nothing writen in server memory since this goes like this: SERVER serves empty form->you fill it->you give to another server. Cybersource Silent Order Post method is good example of it. @Mladan, I am sure you are not right saying “To conclude, as long as online store DOES NOT store any credit card information on its servers, its all good and PCI compliant.” PCI compliance applies to STORING and TRANSMITTING card data. This means that PCI applies to you even if you do not store the cards but take them on your site, and send back from store to payment processor immediately (and technically speaking the cards are stored then in server memory for a short time). The only way to be out of scope of PCI compliance is to have the card form submit card data to PCI compliant servers, NOT YOUR SERVER. Such thing can be done with all “external” payment methods (PayPal Express, Google Checkout), CRESecure.com or Magento Payment Bridge (in which case your Payment Bridge server needs to be PCI compliant, not whole Magento installation). @Adrian – first of all extension from AheadWorks isn’t overpriced if you look at time needed for developing something like that. Although, in many cases it can only provide a good starting point, nothing more. If you need something completely different regarding logic, there’s no options but to write your own implementation. @kiatng – in most cases – yes, but as with relation customer-store-gateway, it can be implemented differently in relation gateway-card issuer. I hope this clarifies a bit more. Hi, nice article. Very well put together. I do have a question; little bit off topic. I did a magento shop and the client wants a recurring payment solution that will work different from what Magento offers by default;. He wants the recurring option integrated in the checkout process or as an option on the products page. Does anyone know a solution except the very overpriced one from aheadworks? Thanks guys. Since the CC and CVV numbers are not stored at the Merchant site, does that means that the info is stored at the gateway? Great article as this has come just at the right time as I am investigating using Magento for a subscription based shopping cart. The Infographic you provided will be useful to show clients how the payments work.